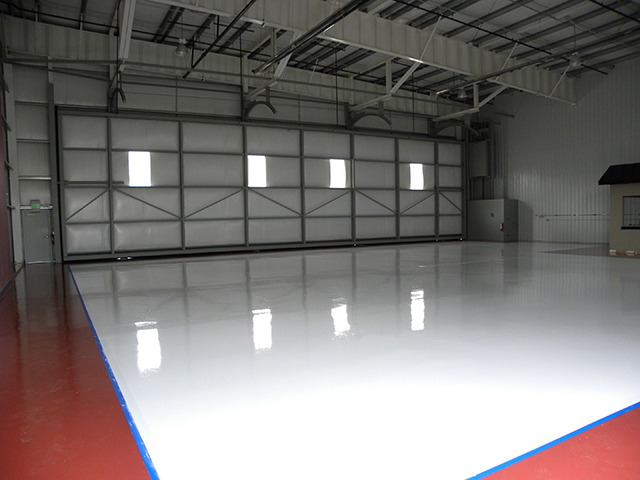 Global Garage has years of experience in providing coating solutions for many varied commercial and industrial installations. We will work with you to evaluate your needs and discuss the many systems we have available. 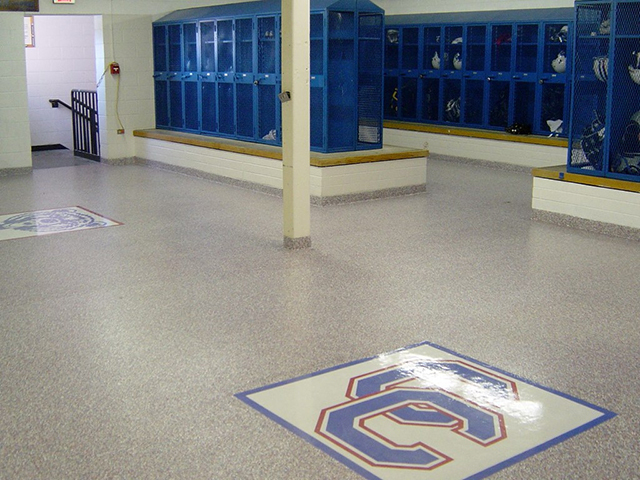 We understand that a small difference in the price per square foot between an epoxy floor and modern polyurea system can become a large factor when considering coating thousands of square feet, and that is why we offer a variety of systems. The flooring options below are listed by cost, from low to high. Please call for pricing and estimates. Solid color – high quality Grind and moisture seal then coat with several layers of epoxy or polyaspartic Better Hangar style appearance. Great for showrooms and hangars! Beautiful solid color floor but can be susceptible to wear and tear. Incredible Durability Meets Next Day Return To Service! 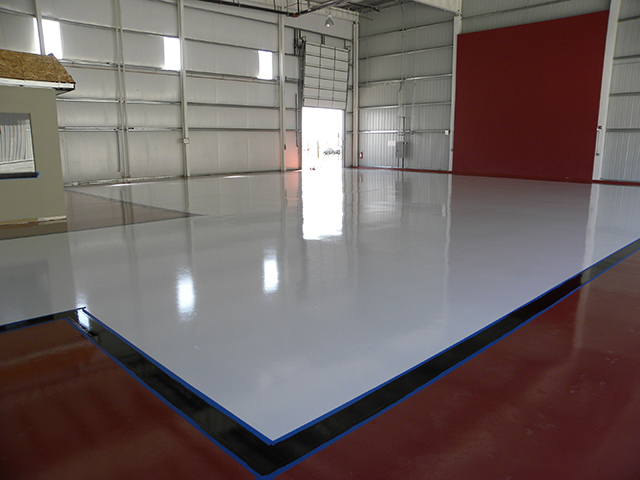 An important consideration in coating a commercial or industrial space is the downtime associated with the coating applications, and subsequent wait to return to service. Our Polyaspartic coating technology allows for return to service capabilities of just 1 day, saving a tremendous amount of money and time. 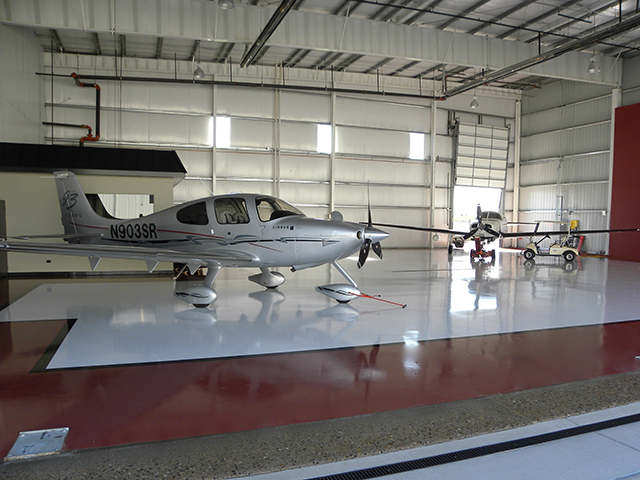 With abrasion and chemical resistance qualities several times that of epoxy coatings, our patented technology is certain to meet the rigorous needs of any industrial floor. 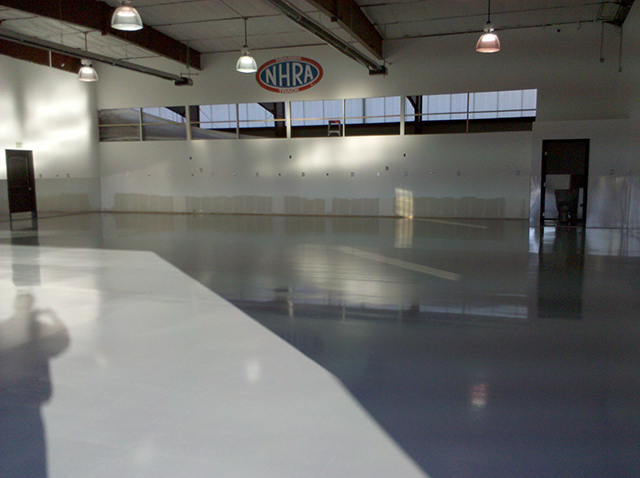 The unique ability of our products to “wet” or penetrate the concrete establishes a level of adhesion that far surpasses other floor coating systems. In addition, these floors are resistant to a wide range of industrial chemicals, including but not limited to oil, gasoline, brake fluid, skydrol, and an assortment of other chemicals.